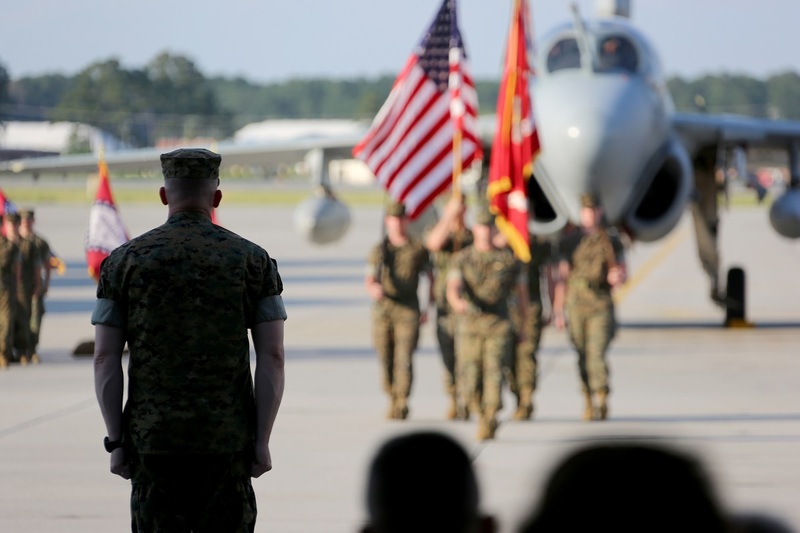 On May 2, 2017 Marine Tactical Electronic Warfare Squadron (VMAQ) 4 officially completed their sundown after 35 years of supporting operations around the world, in a deactivation ceremony at Marine Corps Air Station (MCAS) Cherry Point, N.C..
Tracing their lineage back to Marine Composite Reconnaissance Squadron One in the 1950’s, VMAQ-4, Marine Aircraft Group (MAG) 14, 2nd Marine Aircraft Wing, was officially commissioned on Nov. 7, 1981. As told by Cpl. Jason Jimenez in the article VMAQ-4 deactivates after 35 years, originally, the Seahawks flew the EA-6A Electric Intruder and then transitioned to the EA-6B Prowler in the 1990’s. The squadron’s mission was to support the Marine Air-Ground Task Force commander by conducting airborne electronic warfare, day or night, under all weather conditions during expeditionary, joint, or combined operations. 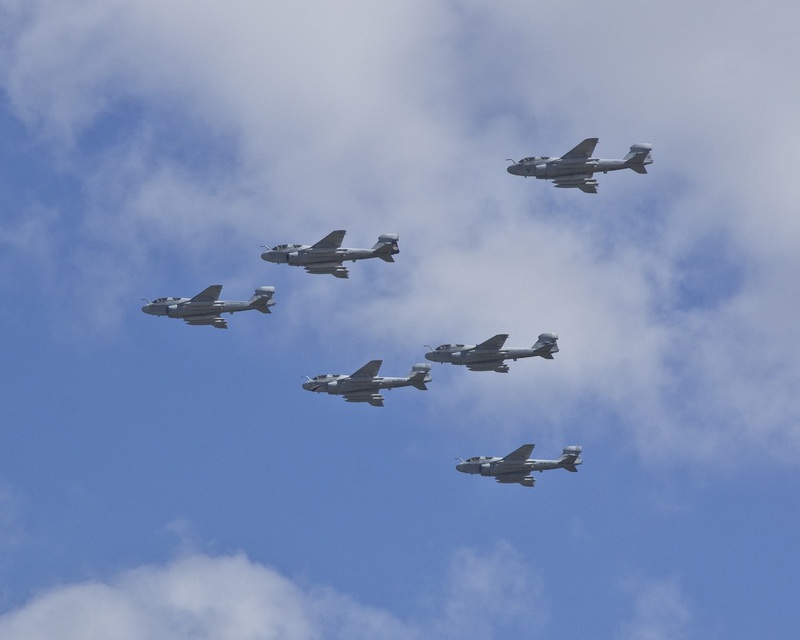 The Seahawks have been active over the skies of Korea, Vietnam, Desert Shield, Desert Storm, and most recently, Operation Iraqi Freedom, Operation Enduring Freedom, and Operation Inherent Resolve. 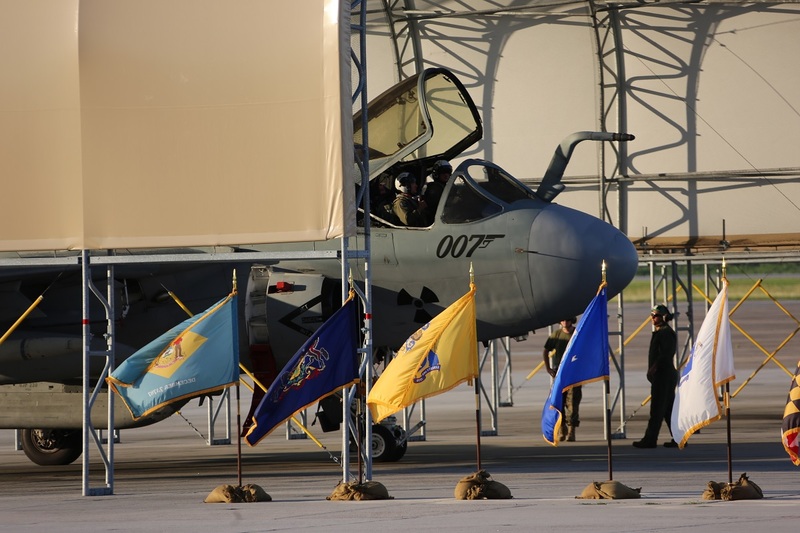 In the last two years, VMAQ-4 has supported two Red Flag exercises, two Weapons and Tactics Instructors courses, and a deployment to Turkey in support of Operation Inherent Resolve. VMAQ-4 was also recognized as the Marine Tactical Electronic Warfare Squadron of the year for 2016. 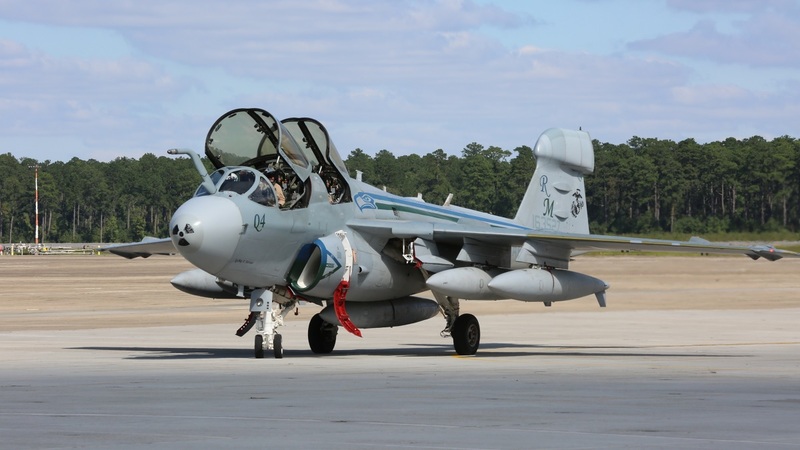 As we have already explained, in conjunction with the sundown of the Prowler, the remaining Marine Tactical Electronic Warfare Squadrons (VMAQ-2 and VMAQ-3) will be deactivated, one each year, until completion in 2019.